As Jordan Rinaldi (5-0) made his way to the Octagon this past March as part of “The Ultimate Fighter Live” season premier, the pressure began to mount. Not only was so much on the line in his bout with Joe Proctor (8-1), but it was also playing out in front of unquestionably the largest audience of Rinaldi’s career to date. And while Rinaldi would ultimately lose the bout via submission, costing him a spot on the show, he didn’t leave empty handed. After returning home from the show, the North Carolina native decided to quit his job as a car inspector in order to focus all of his attention on furthering his MMA career. Now, training three times a day for six days a week, Rinaldi said that he can already tell a noticeable improvement in his overall skills as a fighter. Now, for the first time since appearing on “The Ultimate Fighter Live,” Rinaldi will be stepping back into the cage when he takes on Mark Dickman (5-0) in a catch weight bout at 150 lbs. this Saturday, June 30, at Resurrection Fighting Alliance 3. Dickman, who won a NAIA national wrestling championship in 2007, went undefeated in his amateur MMA career and has yet to be stopped in his five professional bouts so far. 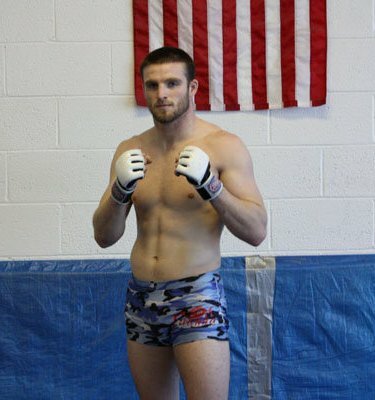 In his most recent outing, Dickman defeated Ted Worthington via TKO at RFA 1 back in December of 2011. As part of his training camp, Rinaldi spent time working with two wrestlers who competed at the same collegiate level as Dickman, and despite a few struggles, Rinaldi feels on point heading into Saturday’s bout. And while Rinaldi doesn’t expect his wrestling to be better than his opponent’s, the Royce Grace purple belt isn’t worried about the idea of the fight being contested on the ground. For Rinaldi, Saturday’s bout is an important step in getting back on track and proving to himself that he’s ready to take the next step in his career. As for the future, Rinaldi hopes to one day make it back to the UFC and prove that the Octagon is where he belongs. Jordan Rinaldi would like to thank Shock Doctor, Team ROC and Team Pitch Black . You can find Rinaldi on Twitter (@JordanRinaldi) and on Facebook. Resurrection Fighting 3 will take place at the Viaero Event Center in Kearney, Nebraska and will be broadcast live online via FIGHT NOW! TV.